Grouper Family: Serranidae; Epinephelus sp. and Mycteroperca sp. Depends on species, Near threatened, Vulnerable and Critically Endangered. Groupers and snappers are important food fish, supplying protein to coastal families and fetching a good price (often sold fresh rather than frozen) in markets. 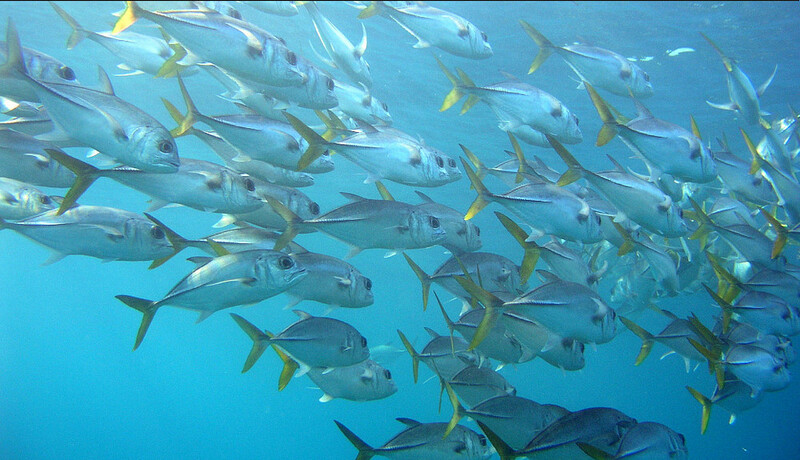 Snappers stay together in large schools, and generally stay close to the sea floor, inhabiting reef areas and even shipwrecks. Snapper are one of the most economically-important fish for coastal fishers in the MAR. Groupers play an important role in coral reef ecosystems as predators, thus maintaining a healthy balance among fish populations. WWF works closely with fishers and other coastal and marine stakeholders to develop fisheries management plans and conservation tools. We also help to ensure the effective management of marine protected areas to maintain finfish populations and their habitats. Awareness-building efforts led by WWF also help inform local communities and fishers about sustainable catch limits for snapper and grouper. Groupers and snappers have been the target of overfishing by both recreational and commercial fishers, depleting stocks. Some end up as bycatch from gill-nets, long-lines, and bottom trawls. They are slow-growing fish, and because most are caught as juveniles they miss out on decades of reproductive activity. This severely affects the ability for the fish stocks to rebound, maintaining healthy populations. Also, because they aggregate in the same place every year to spawn, they are easy target for fishers. Sea temperature rise and changes in ecosystem balances as a result of climate change affects the food supply for finfish, as well as their ability to survive in shallower waters. 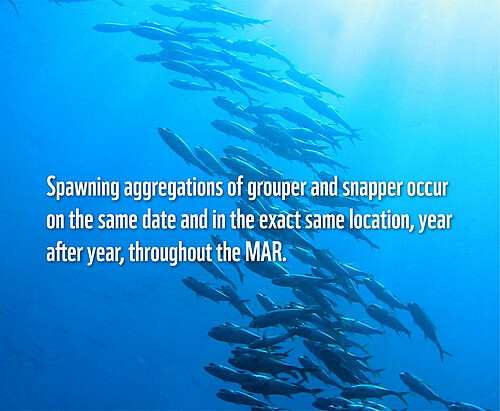 It also affects their spawning places – which are normally the same every year – disrupting reproductive cycles. As spatial and temporal patterns of temperature increase, the distribution, timing and intensity of spawning may be affected. Development along the MAR’s coastline has resulted in loss of habitat critical for the survival of grouper and snapper. Coastal ecosystems, such as sea grass beds and mangrove forests, which are particularly important for younger groupers and snappers, are often destroyed when areas are developed for human use. Practice responsible consumption of seafood by eating sustainably caught fish!